Sometimes our heroes live under the ground, having never even been written about. Sometimes our heroes live so far from us, we don’t even know who they are. Sometimes these heroes are just walking along the streets that no one else will walk. Sometimes our heroes need us to be heroes, speaking up, supporting them. Some of my heroes brave the streets of Venezuela every single day, careful to watch who’s around them, careful to steer clear of this street or that, not that it makes much of a difference. They’re still robbed and kidnapped, often enough, they’re murdered. With crime increasing year after year, I wonder if I’ll ever see Venezuela again. My husband’s family, those who remain there, visits us. They won’t let us visit them. Why can’t we visit? Why can’t we take our children? It’s the same old story: Politics. Men. Ideals. Ideas. Egos. Egos. Death. My children might not ever see the way the mountains look when the sea meets them along a dirt road free of stoplights and buildings in the small islands just off the coast of Venezuela. They might not see the tiny, wooden restaurant ahead. They might not sip the fresh pineapple drink then break the soft-corn cachapa with their fork and mix the tangy with the sweet on their tongues. But, it doesn’t matter because they’ll be safe. Safe from the violence that taunts Venezuelans on a daily basis, safe from the mask of right and wrong. This weekend millions of heroes, just like us, will vote, here in the states (in particular in New Orleans) and in Venezuela. Chavez shut down the Venezuelan consulate in Miami. So, the Venezuelans now living in the United States have to vote in New Orleans because they can’t vote in Miami where many have taken refuge since Chavez became president. When they vote they’ll attempt to right a wrong, a clear, undeniable wrong: Hugo Chavez is president. It’s wrong because since he came to power the crime and death rate increased so drastically that paranoia seems a silly, antiquated word. 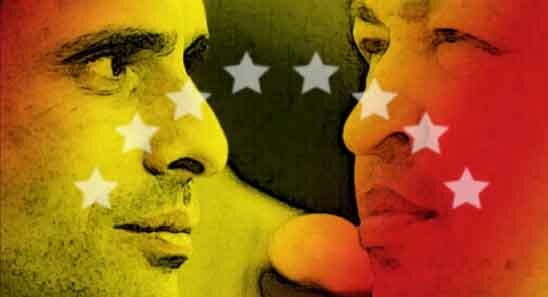 On Sunday, October 7, 2012, Venezuelan’s will vote for Hugo Chavez or his challenger Henrique Capriles. Hugo Chavez has managed to remain in power for about 14 years. The opposition and human rights observers call his government repressive because of his control over the media. Moreover, according to Venezuelan Violence Observatory, there have been 118,541 murders in Venezuela since Chavez took power. Venezuelan’s are heroes just for enduring. Their voices are being shut down by the man who’s supposed to fight for them. If the voters are heard, someday you may be lucky enough to visit Venezuela, you’ll find beauty beyond Caracas, its capital. You’ll find islands and tiny villages with people who create possibly more amazing art and other products than any of us could dream of. That’s actually true as of the time of this post, but it wasn’t always that way. Fifteen years ago my then-boyfriend and I, my now-husband and I, took our first trip there together. We knew then, like with many major cities, that we shouldn’t go to certain places at certain times when visiting his family in Caracas. We knew where to go, when to go. He had left because of crime, his Christmas presents stolen, and there weren’t many to steal. Crime was a problem even 25 years ago when my husband’s family left for the United States. But, Chavez promised to close the divide between rich and poor. To say he did not deliver is an understatement. In fact, he lied. He still lies. The facts tell the truth. When we were able to visit, the city itself, Caracas, made no difference to us except for family, food, and certain sites that we found necessary to visit and revisit as if we knew it might disappear someday. Simon Bolivar had once liberated the people, so we visited his statue and smiled, not really considering we’d spend over ten years without seeing it again. Certain districts such as the clothing centers, we frequented because, really, we loved buying great, cheap souvenirs. Catholic churches, yes, a necessity. Cachapas. Empanadas. Café of any kind. Arepas, Venezuelan-style. We ate. We drank. We enjoyed. I miss it all so much as I sit safely here, in Miami. We Americans take certain rights for granted. We also don’t understand the extent to which voting affects these simple beauties in life that go without our appreciation. We also don’t recognize the hero within because, well, we’re everywhere. We’re Avatars and we don’t even know it. We definitely don’t appreciate our powers. Very powerful post. A friend of mine in Germany was an Au Pair in Venezuela and she was telling me about how beautiful the country was, and that it is well worth visiting. I asked about safety and she admitted now may not be a good time. That your husband’s family won’t even let you visit is sad — but probably the right thing to do! It’s another example of the “curse of natural resources” – the allure of oil money breeds corruption and hurts average Venezuelans. Now thanks to the oil and the alluvial plane Venezuela has surpassed Saudi Arabia in proven oil reserves. Wouldn’t it be nice if the people could benefit? I’ll be watching for the election results – to be sure, I’m a Political Scientist who specializes in international relations so I’d be interested even without reading your post — but your post reminds me that it’s not just geopolitics and oil, but people, pawns in a game for oil wealthy by leaders who use ideology, promises and propaganda to hide their true motives. Everything you said is very true. Under the guise of social justice, leaders attempt to hide their greed. In Venezuela, that greed is oil. My husband’s a journalist but also a historian so I’ve gotten a great education through him alone. Good to know you would follow the elections in Venezuela even without having connected here. Thank you for this very moving and educating post. Your focus on both personal and international issues makes it all the more poignant and opens it up to people who may not otherwise have thought about these issues. I hope it sparks interest. Thank you for reading and having such a great blog. I really needed to see beauty today and yours gave me that.